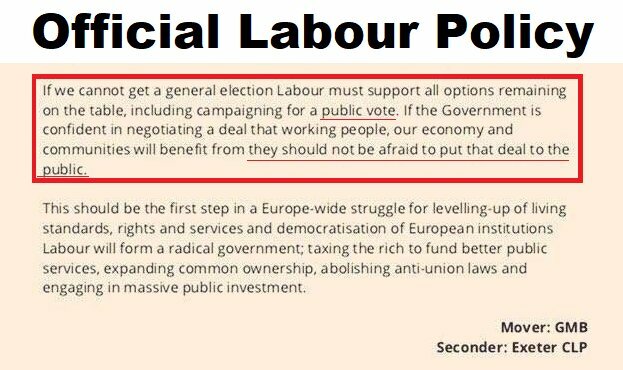 Many people (inc me) WANT to trust in Corbyn's vision... to believe Jeremy's socialist policies will put the welfare of British families before pure ideology. No more "here's how to do Brexit"; PUBLIC VOTE NOW! Most people on the Left aren't experts in socialist economics but we're willing to trust that Corbyn's socialist numbers add up as long as we know he's economically sensible. Pursuing Brexit when almost all economists say it'll make us poorer in any circumstances, isn't sensible. I get why Jeremy is going through this song&dance about the deal. But we're watching you @JeremyCorbyn. You have a pro-EU membership & voter base. If this gamble doesn't work, you don't exactly have a pro-EU history for us to give you the benefit of doubt.